Recognizing Central Ohio leaders’ ability to effectively build and lead successful organizations, Smart Business awarded Dr. Eric Schertel, President and CEO of MedVet, a seat as a member of the Smart 50 class of 2018. 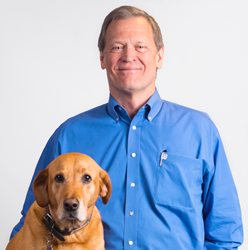 Schertel is a two time recipient of this award recognizing his leadership at MedVet. Veterinary-led and employee owned, MedVet is a growing network of emergency and specialty animal hospitals nationally-recognized for delivering exceptional care and service to patients, clients, and Referral Partners. For more information about MedVet, visit http://www.medvetforpets.com.